If you couldn’t tell from all the noise coming from the south last night, the Chicago Cubs are headed to the World Series—their first trip in 71 years. On Tuesday, October 25, the unlikely Cubs will take on the almost-as-unlikely Cleveland Indians in Game 1. Calling that game will be former Atlanta Braves pitcher John Smoltz, and everybody’s second-favorite Buck sportscaster, Joe Buck. But wouldn’t it be great if Buck—best known to Wisconsinites as the spottily bearded Goofus to Troy Aikman’s Gallant—were replaced by Milwaukee’s own Bob Uecker? Yes, yes it would, and now there’s a petition for that. Over at trusty ol’ Change.org, “Replace Joe Buck with Bob Uecker for World Series broadcasts” is asking both the Fox Broadcasting Company and Major League Baseball to swap out the love-him-or-hate-him Buck with the man who once portrayed fictional Indians announcer Harry Doyle, and who once stumbled into a decidedly non-fictional furry convention. “The Cleveland Indians are in the World Series,” reads the petition. 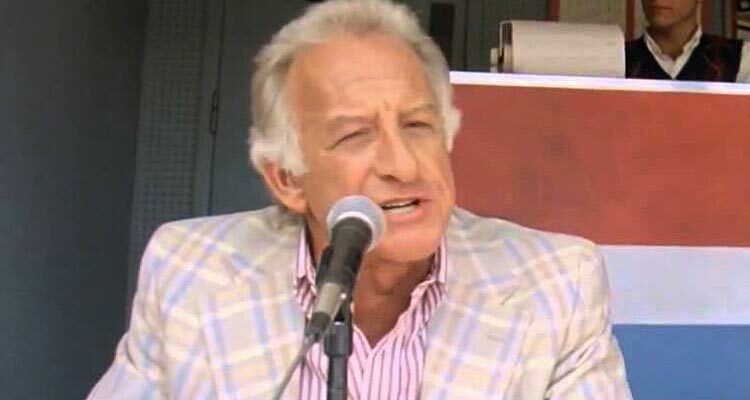 “Bob Uecker is Bob Uecker—a national treasure. And his portrayal of an Indians broadcaster in the movie Major League is all-time great. Replacing Joe Buck with Uecker would put one of the truly great entertainers in the game on its biggest stage.” Who can argue with that? As of Sunday morning, the petition has more than 3,000 supporters. That’s roughly half the people who bothered to sign the “Remove Paris Hilton from the Summerfest lineup” petition back in 2015, and roughly 3,000 more people who signed the accompanying “Book Paris Hilton at Summerfest EVERY YEAR until the Apocolypse [sic]” petition. Go Brewers. UPDATE #1: As of Monday morning, the number of supporters has jumped to more than 16,000.